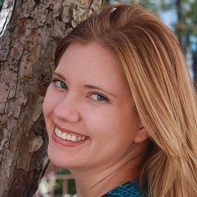 Kelly Chermack first joined the Walden Writing Center as a dissertation editor in 2012. Since then, she has become a manager of editing services, and works to support the whole editing team. Dr. Chermack earned a BS in Sociology (with an emphasis on statistics) and a PhD in Sociology (with an emphasis on work and organizations), both from the University of Minnesota. In her own research, she specializes in organization theory, workplace policy, and research methods. Dr. Chermack is also contributing faculty in Walden's Human and Social Services PhD and Doctorate of Business Administration (DBA) Programs. Editor Tobias Ball earned a BA degree in Classical and Near Eastern Studies from the Univeristy of Minnesota, an MSt from Oxford University in England in Medieval and Renaissance Studies, with a focus on Religions in Antiquity, and an MLIS from Dominican University. His interests include the history of printing, early books and manuscripts, and access to information as is it relates to academic research. If you look hard enough you will find his published poetry. Angie Drennen holds a BA in English Literature and Psychology from the University of Wisconsin–River Falls and an MA in English from the University of St. Thomas. She has over 5 years of tutoring experience in writing, math, and reading. She fell in love with academic editing while reformatting over 300 pages of research on Hemingway. Since then, Angie has edited articles and manuscripts under various research assistant positions. When not editing, she can usually be found working on a sculpture or art piece of some kind. Carey Little Brown came to the Writing Center in 2012 with a background in linguistics and more than a decade of experience as the lead editor of an academic editorial firm. Carey has also worked as a research and teaching assistant in linguistics and English, as well as a composition and creative writing tutor. She holds a degree in linguistics from San Jose State University. At Walden, she enjoys helping students master APA style, integrate their sources into original arguments, and produce doctoral writing that they can be proud of as they move forward in their careers. Dan Fleischhacker joined the Writing Center at Walden University as an editor in 2015. He has a BA in English (emphasis on literature) from the University of Minnesota and a MFA in Creative Writing: Fiction from Hamline University. His thesis, a short story collection titled, “Come Back to You,” was a finalist for the Outstanding Fiction Thesis Award in 2010. Prior to joining Walden University, Dan has worked as a graduate writing consultant while a student, and then full-time as the writing consultant supervisor at Hamline University’s Writing Center and as a faculty writing tutor at Metro State. He also taught first-year composition at Hamline University. Learn more about Dayna in our blog spotlight interview. Jenny Martel joined the Writing Center in 2014 with a master’s degree in art history from the University of St. Thomas, a bachelor’s degree from the University of Minnesota in English and environmental science, and over 15 years of project management and communications experience. She has studied abroad in both Spain and Venezuela, and has worked as a freelance art curator. Her interests include running long distances, writing and reading science fiction and fantasy, and spending time with her daughter. Learn more about Jenny in our blog spotlight interview. Joe has taught writing and APA courses in Walden’s Center for Academic Excellence since 2005. He currently serves as Lead Faculty in the Academic Skills Center. In addition to his faculty and editing responsibilities at Walden, Joe teaches writing and humanities courses at other universities. His editing background includes 6 years at Meadowbrook Press, where he worked primarily on parenting titles. Joe has a BA in English from Mercyhurst University and an MA in English from the University of Minnesota. He recently completed a PhD in Education at Walden with a specialization in higher education. Meghan Irving joined the Writing Center as an editor in 2015. She joined Walden University in 2010 as an academic dvisor for the Richard W. Riley College of Education and Leadership where she worked with master's-level students until moving to the Writing Center. Meghan also assisted with Walden’s student communications department writing, editing, and distributing communications. Meghan has a BA in English with a Writing Concentration from St. Catherine University in St. Paul, MN and an MA in English from Kansas State University in Manhattan, KS. She taught composition and literature classes at K-State and also worked in their Writing Center. Michael joined the writing center with many years of experience working with postsecondary students and academics. He has completed his bachelor’s degree and master’s degree—both in English. Michael has taught courses at the university level for several years, with curriculum focusing on researching in the digital age, forming scholarly arguments, and improving writing skills on technical and substantive levels. He has edited work for students and academics from many disciplines and is always ready to take on new materials and subjects. In his editing, he emphasizes economy of expression, consistency, clarity, organization, and specific requirements and conventions for various writing styles and formats. He works diligently to respect the voice of the author, and he offers careful explanations and rationale with his edits. Sam Herrington joined the Writing Center’s editing team as a capstone support editor in 2017 after 15 years of teaching academic writing and language skills to graduate and undergraduate students at various institutions. He holds a BA in both History and French, an MA in English (with a specialization in TESL), and an MA in French. When he is not working and/or playing with language, he likes traveling, spending time with his family, immersing himself in nature, and playing his fiddle. Sara Witty joined the Writing Center in 2015 with a PhD in art history from the University of Wisconsin-Madison, a master’s degree in art history from the University of St. Thomas, and a bachelor’s degree in studio art from the University of Wisconsin-Stevens Point. She was the recipient of numerous fellowships from the Social Science Research Council and a grant from the Mellon Foundation in support of her research on the architecture of American mental hospitals. Her interests include institutional architecture, French critical theorists, and producing a broad range of visual art. Sarah Matthey received her bachelor's degree from the University of Minnesota in English and her master's degree from the University of St. Thomas, also in English. Sarah received her EdD from Walden University. Her research interests include academic entitlement and writing interventions for remedial writers. As an editor, she focuses on grammar, scholarly voice, APA formatting, and academic arguments. Steve Lehman has more than 30 years experience in publishing as a writer and editor, working on projects as diverse as curricula, college textbooks, trade books (fiction and non-fiction), essays, op-eds, and academic articles. He is the coauthor or coeditor of several books. Steve has a degree in English Literature from Macalester College. Tara Kachgal joined the Writing Center in 2015, with a PhD in mass communication from the University of North Carolina at Chapel Hill, a MA in telecommunications from Southern Illinois University Carbondale, and a BS in advertising from the University of Illinois at Urbana-Champaign. She has extensive experience working as a researcher and faculty member and instructor at U.S. colleges and universities. In her own scholarly and public writing, she focuses on topics related to media criticism, gender and sexuality, and higher education. In her free time, she enjoys running, exploring new cities, and reading detective books. Editor Tim McIndoo came to Walden University in 2007 with over 30 years of editorial experience (medicine, science and technology, fiction), including work as translator and photographer (photojournalism and fine art). In 2001 he earned a Master of Liberal Studies (University of Minnesota) with a concentration in medical ethics, followed by a short stint in a doctoral program in the history of medicine. Before entering graduate school, Tim worked as an acquisitions editor for over 6 years at Hazelden Publishing (Center City, MN), where he discovered and developed manuscripts on mental health topics. In 1995 he wrote a meditation book for Hazelden, which has sold over 50,000 copies and has been translated into three languages. Tim lives in Minneapolis with four cats. Travis Sands holds a PhD in English from the University of Washington. His academic interests include queer studies, critical ethnic studies, and political economy. He joined Walden's editorial team after several years of teaching college English, writing, and cultural studies courses in the Pacific Northwest. When not editing, he can be found running the trails and roads in and around the Twin Cities. Vania Brightman Cox joined the Walden Writing Center as a capstone support editor in 2017. Dr. Cox earned a BA (University of Wisconsin–Eau Claire) and an MA (Colorado State University) in Political Science, with a focus on international relations. Her PhD (University of Minnesota) is in Sociology with an emphasis on political sociology and qualitative methods. In her current research, she specializes on healthcare policies and cultural discourse.